Wheeler Machinery Co. is your source for crushing and screening products. As a distributor of Metso, Anaconda, Edge Innovative, RD Olson, Masaba and Eagle Crushing product lines, you’ll find everything you need for your crushing operation at Wheeler—including parts, service, rental, and financing. 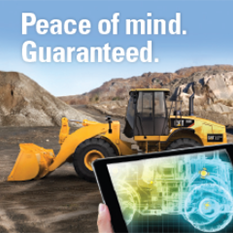 Learn more about the services and products Wheeler Crushing Systems offers below. Wheeler Machinery Co. carries an extensive selection of new crushing screens and related products. Our inventory includes trailer- and track-mounted screens, trailer- and track-mounted crushers, field, hydraulic and radial stacking conveyors and bins, hoppers and feeders. Explore our inventory to view detailed specifications and other information about available products. Whatever you’re looking for, you can count on our team for expert advice and exceptional service. We have a long history of developing meaningful relationships with clients in the aggregate and mining industries. 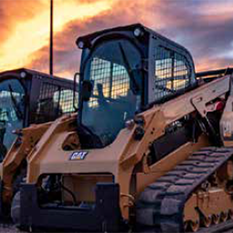 Our team can help assess your needs, select the best equipment for your operation and connect you with a financing plan that makes growing your operation easy. What Benefits Do Crushing and Screening Equipment Provide for Your Business? Regarding crushing equipment, you can choose powerful jaw crushers that will quickly and efficiently reduce the size or alter the form of rock and other materials for purposes such as disposal or recycling. 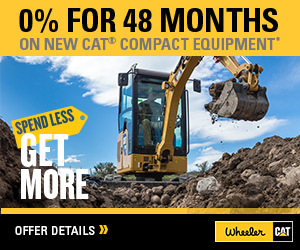 These heavy-duty machines feature a rugged design and construction that can handle the intense demands of this rigorous process — which can deliver an excellent long-term return on your investment. You can also select an impact crusher that relies on the application of heavy force over a short time frame — similar to a high-speed collision between two objects — to create the desired result. Track mounted and trailer mounted crushers add the element of maneuverability and mobility at the job site. High-performing, well-constructed screening equipment will execute the crucial function of separating materials, enabling you to sort them out for further processing or disposal. You will also have an easier time distinguishing between usable and useless materials. When used in tandem with a crusher, a screener serves as part of a highly efficient system that can increase productivity at mining, quarrying or aggregate sites. It’s essential to choose the right screening equipment type for your applications. A horizontal screen provides increased accuracy when sizing because the material remains on the screen longer and travels at a slower rate. An inclined screen is a less expensive alternative that relies on gravity to allow the materials to move down the screen. The Advantages of Purchasing Brand-New Screening and Crushing Equipment for Sale? Buying new crushing and screening products for your business will provide several advantages when compared to purchasing used items or renting. Understanding the constant pounding that these machines take, a new model will prove more reliable and less prone to breaking down. A new product will also include the latest technological innovations that will allow operators to improve productivity. Most new equipment will contain the most advanced safety features to protect your workers at the job site and while the product is in transit. This increased safety can lead to fewer days lost to workplace injuries and reduce costly worker’s compensation claims. Unlike renting, buying new enables you to take ownership of the equipment eventually, even if you need to finance your purchase. You’ll be able to recoup at least a portion of your investment when you trade it in or sell it. Plus, there’s always an adjustment factor when you rent — it takes time for the operator to get used to the machine, which can slow the progress of your project. While a new machine will also require a “breaking in” period, once the user masters the operation of the equipment, productivity should improve dramatically. The user will soon reach a level of comfort that may be unattainable when operating a rented product. Quality equipment is essential to driving productivity, maintaining uptime and ultimately running a profitable business. We’ve partnered with leading manufacturers to ensure all our clients have access to the best new crushing screens on the market today. Metso, Anaconda and Masaba crushers are known for their reliability, throughput and high product quality. You’ll find them hard at work in some of the most demanding quarry and mining operations, both in Utah and around the world. Learn more about the current selection of crushing screens for sale from Wheeler Machinery Co. by contacting a location near you. If you’re considering buying a new crushing screen, we can show you several options and explain the potential benefits of each one in detail. We also back up everything we sell with on-site service and available extended warranty plans. Count on our team for complete turnkey support for as long as you own your purchase.